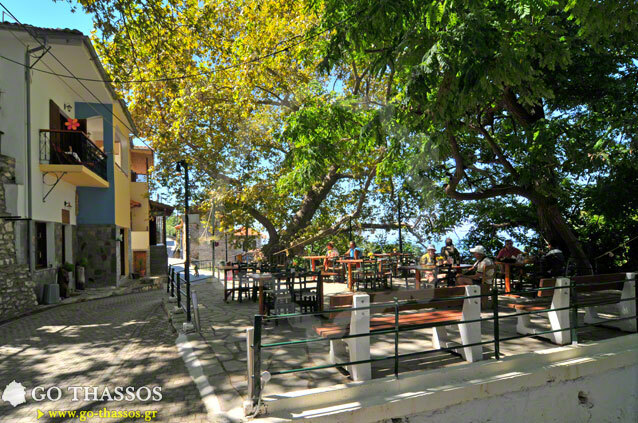 From the seaside village of Skala Sotiros there is a good, asphalt road leading to the mountain village of Sotiros. As one travels along this road, one might notice the countless shrines and small churches through the trees and the dense vegetation. 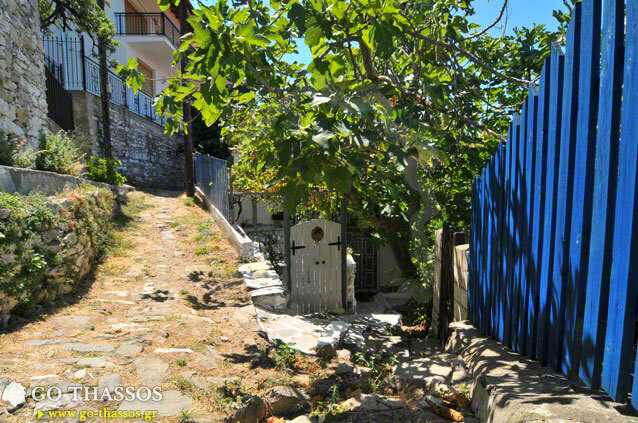 For the village ahead is Sotiros - 'the village of our Saviour'. 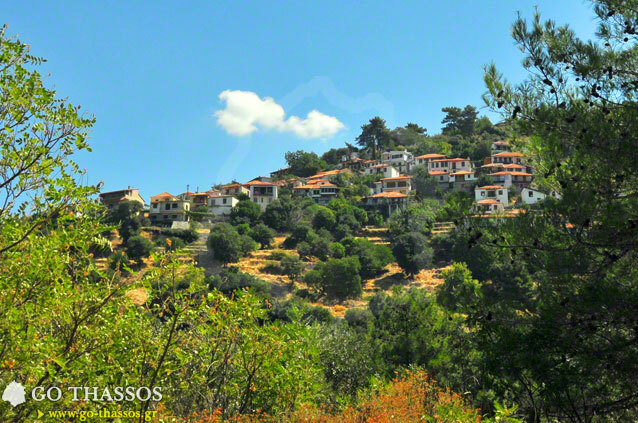 This picturesque mountain village nestles along the western edge of Mount Ipsarion. It rests at a height of 350 m, and 3.5 kilometres from the Thassian coastline. The village is famous for its clean air. The air is said to have healing properties and is good for those with respiratory problems. 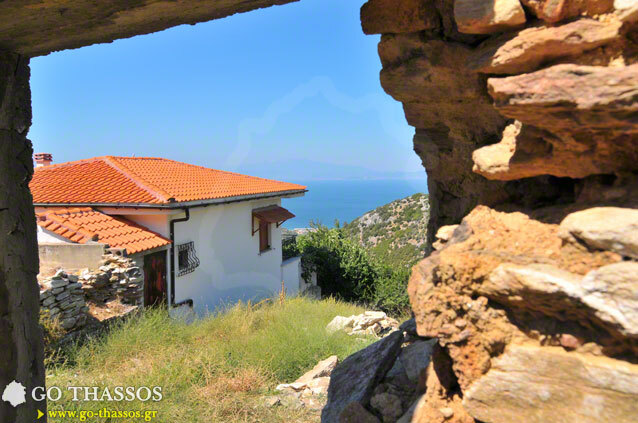 Combine that with the natural beauty of the surrounding forest and mountain springs, and you get another piece of paradise that is waiting to be explored. The climate is mild and dry - the breeze that blows here, clean and refreshing. Visitors are impressed by the old church, the lovely fountain in the centre of the square which was built in 1888, and the old school - now waiting in vain for the voices of children – which has been abandoned for many years now. 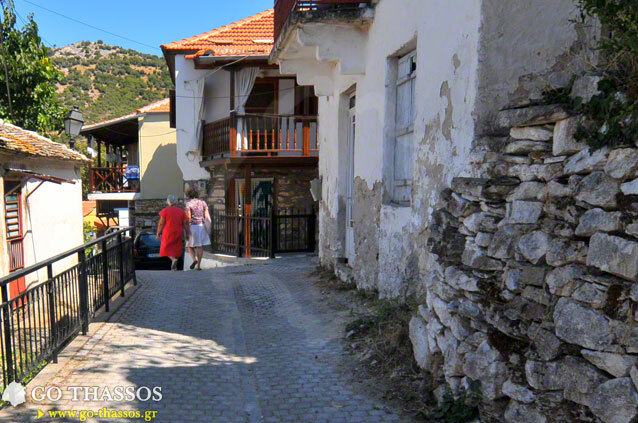 However, few changes have been made to this traditional village and because of this, combined with the feeling one gets of time stopping in the paved narrow streets, makes it particularly attractive to those who are seeking an escape from the hustle and bustle of the busier seaside resorts. 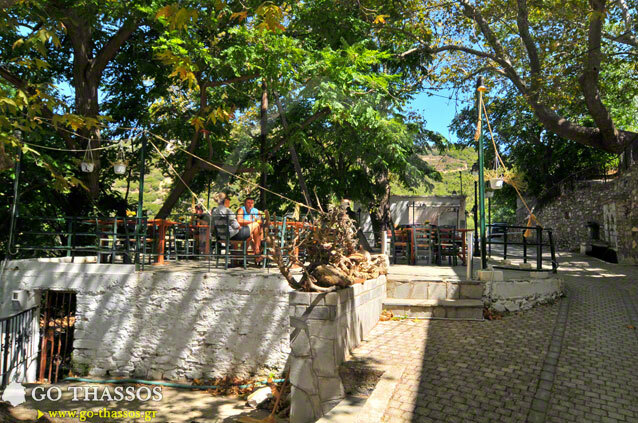 At the small cafe-restaurant in the village, make sure that you take time to enjoy a coffee or ouzo under the shade of the old plane trees and immerse yourself in one of the most romantic locations of the island, to see the spectacular sunsets which are almost guaranteed at this vantage point. 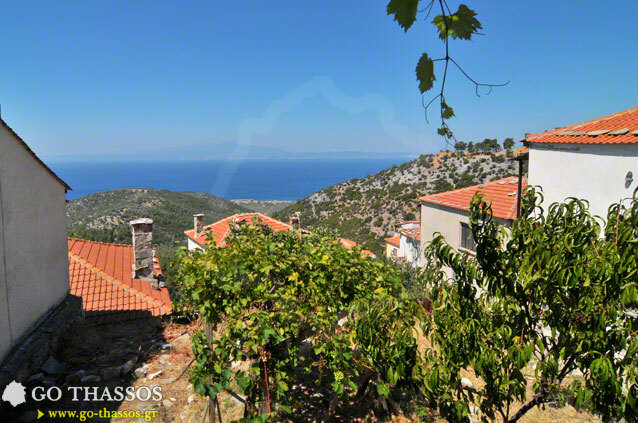 The view from this height above sea level of the coastline kissing the Aegean sea is breathtaking. 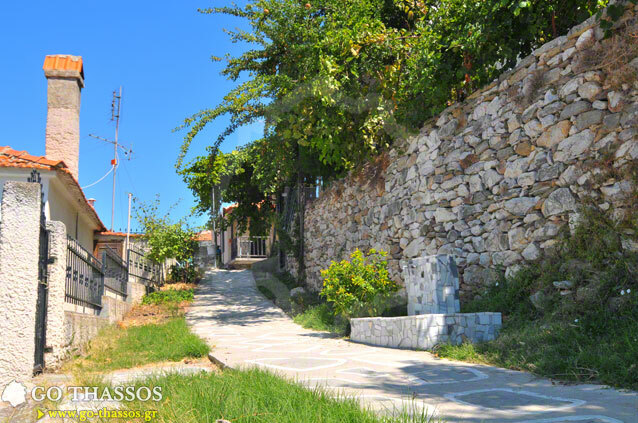 This village provides comfortable accommodation for tourists of all walks of life and is wholeheartedly recommended to those who wish to enjoy a relaxing holiday close to nature.